As I mentioned in the last post, my mojo went AWOL at the Scrapbook Carnival. Somewhat unluckily for my wallet, my shopping mojo was still in high gear, but that is a story for another post. Anyway, I am quite sure that people who stopped to chat at my crafting spot thought this card was destined for the big round file. It sat there half done for two days, while I tried to decide what was wrong with it. Today, I think I figured out the problems and corrected them. I think this card could be a birthday, sympathy, wedding or Christmas card, depending on what sentiment I put on the inside. 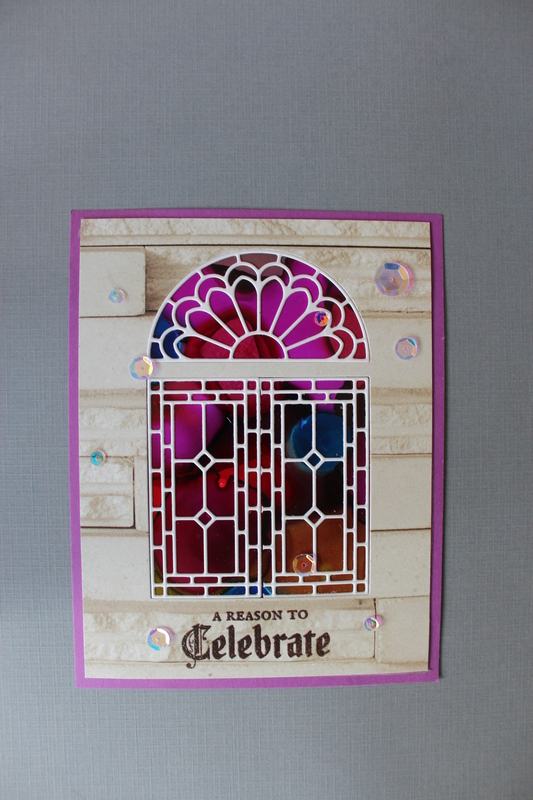 Posted on September 24, 2018, in Card Samples, Oscar's (Deb's) Card Samples and tagged Alcohol Inks, Stampin Up. Bookmark the permalink. Leave a comment.